Obscuration of the Sun brought about by the passage of the Moon between Earth and the Sun. Light source eclipsed by the Moon. Elliptical path of the Moon revolving around Earth under the effect of gravitation. Third planet from the Sun, Earth takes a full day to rotate once on itself, one year to revolve once around the Sun. On Earth, the observer in this region will see a total or annular eclipse. On Earth, the observer in this region will see a partial eclipse. 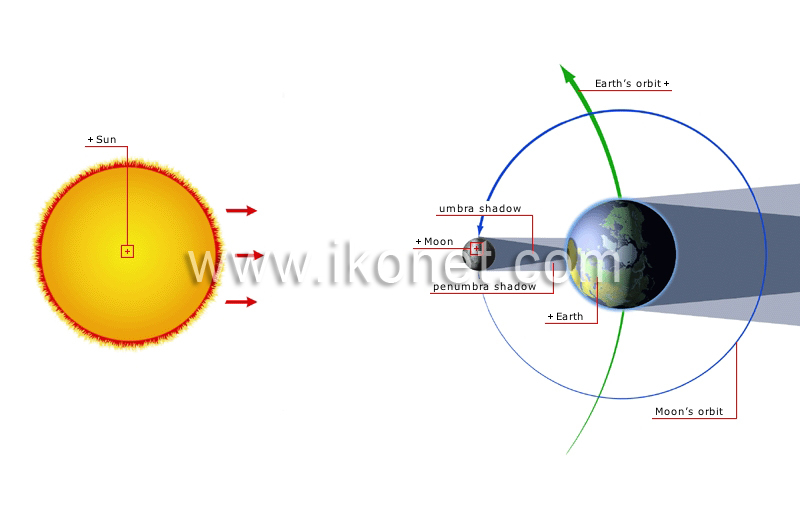 Elliptical path of Earth revolving around the Sun under the effect of gravitation.